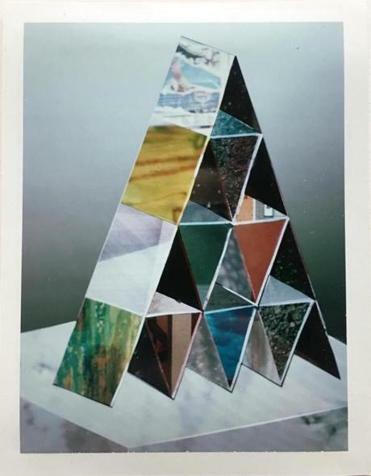 Corey Escoto’s “House of Cards 2,” part of “A Routine Pattern of Troubling Behaviour” at Samson. After a scary bedtime story, monsters appear under the bed. Corey Escoto vanquishes them the way many parents do: by turning on the light and revealing the dust bunnies. Artful stories can set off fears. In sculptures that verge on paintings (or vice versa) and photographs, the artist, whose show “A Routine Pattern of Troubling Behaviour” is at Samson, plays with B-movie scare tactics and the soothing effect of nightlights. It’s about art’s mirage, but if it resonates with the anxiety in America now, that’s a handy coincidence. Escoto constructs his photos inside the lens of analog instant cameras, using small vinyl stencils, and taking 10 to 20 exposures. 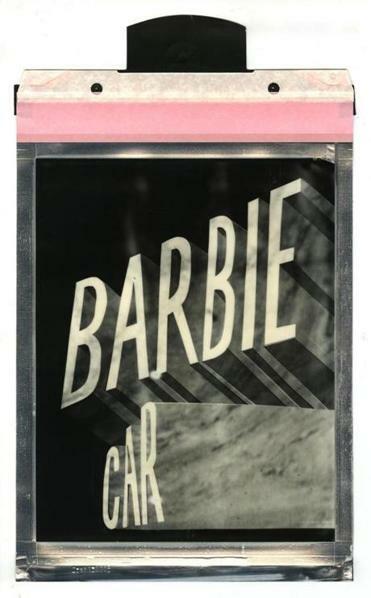 What should be “instant” becomes painstaking; what we expect to be documentary is a collage artist’s fiction. We go to scary movies to get spooked. They’re another artist’s conjuring that we willingly buy into. In these days of alternative facts, we question the reliability of the narratives we’re fed. Escoto’s most recent work is about politics, not art. 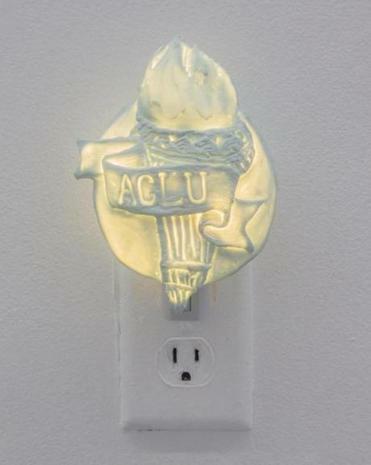 “ACLU Nightlight” glows only dimly, but at least the light’s turned on. At Samson, 450 Harrison Ave., through April 1.